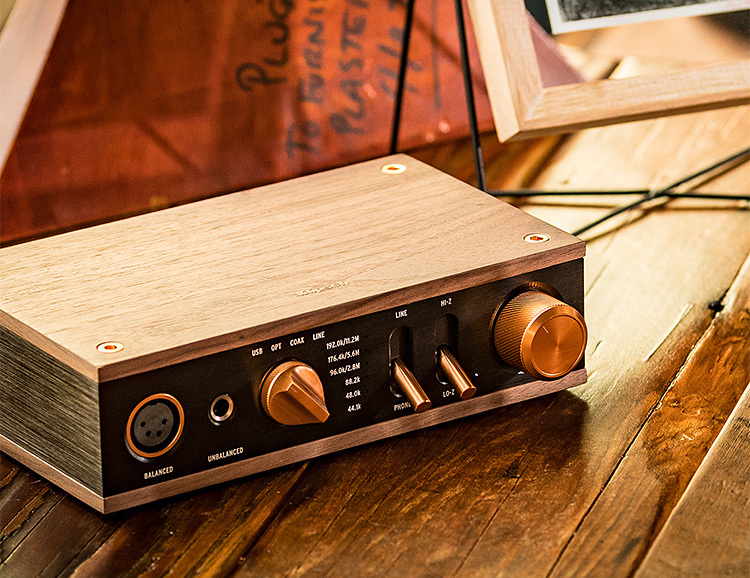 To pump even more sound from their premium, vintage-inspired line of Heritage Headphones, Klipsch has now created the Heritage Headphone Amplifier, a recording studio quality digital to analog converter. Encased in formed aluminum with a genuine walnut veneer, all its switches, knobs, and controls are weighted and anodized aluminum for great feel and tactile response. And all the analog switches operate through relays for the cleanest signal while maintaining a vintage feel.